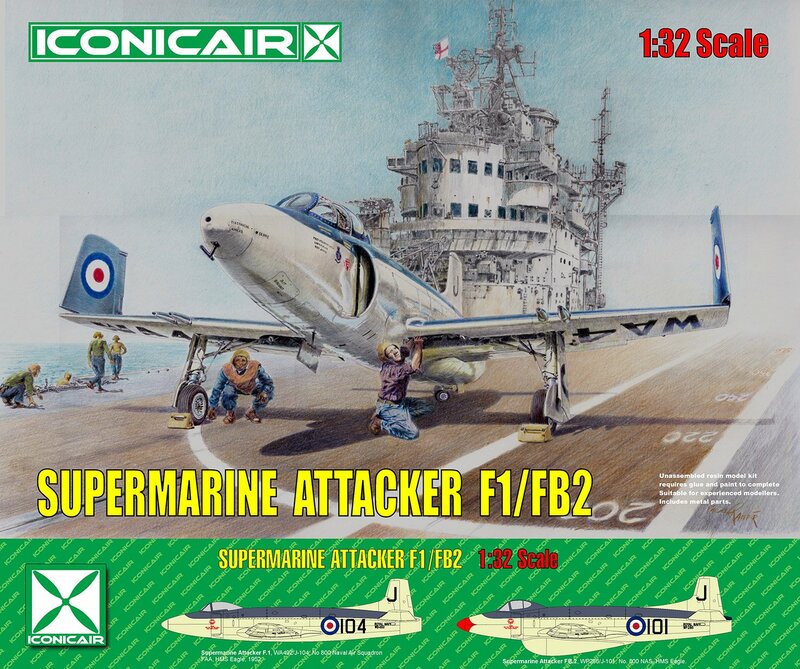 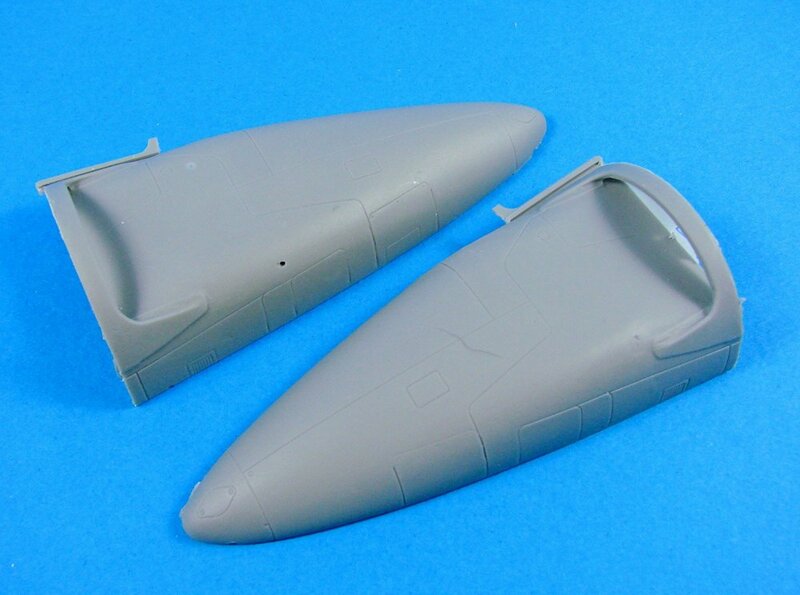 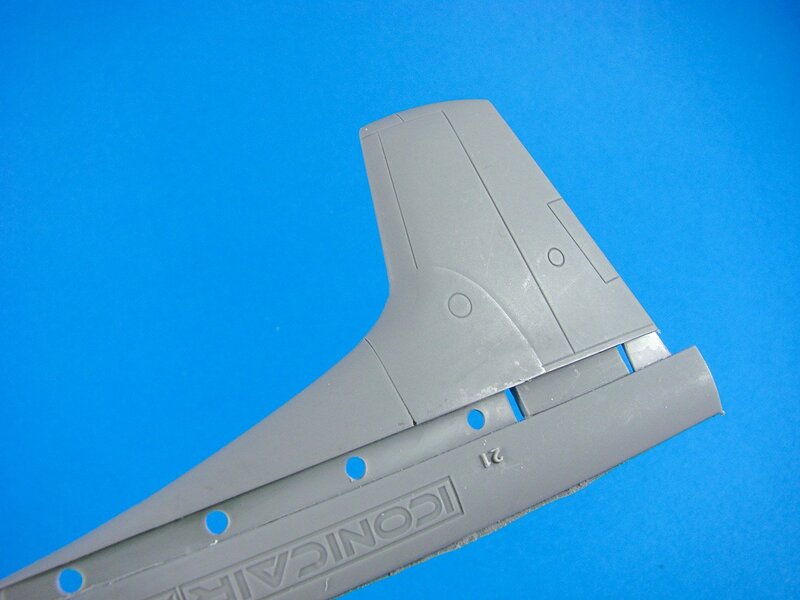 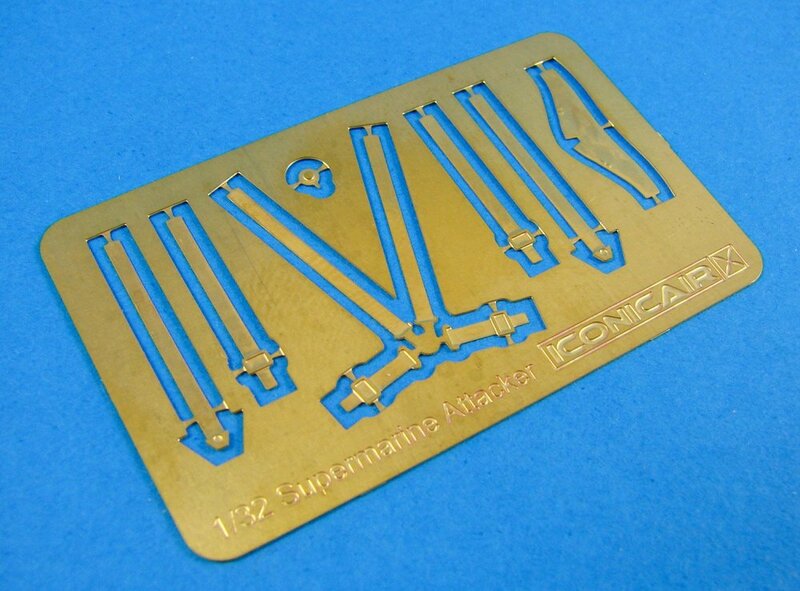 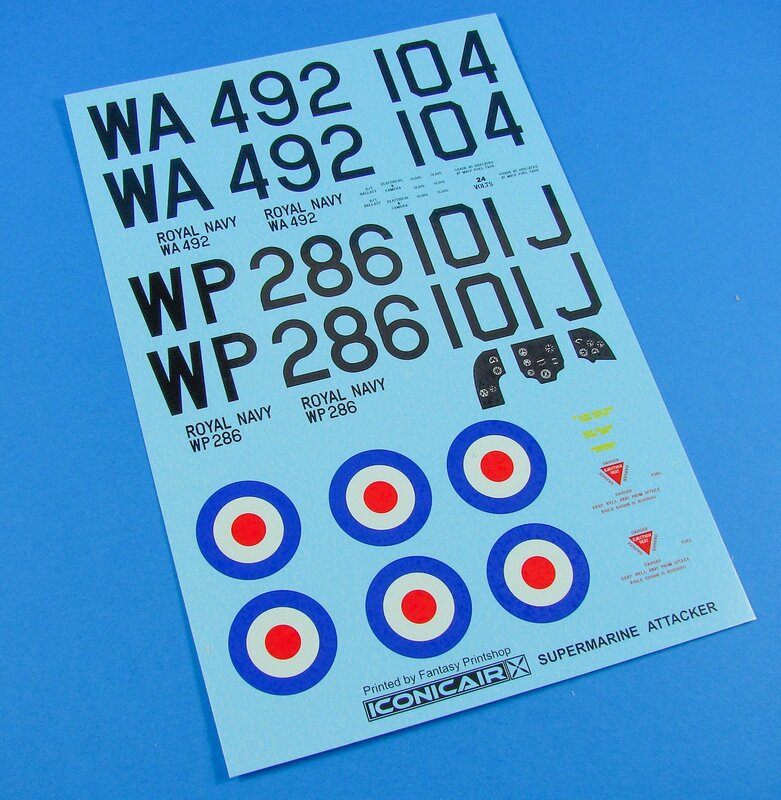 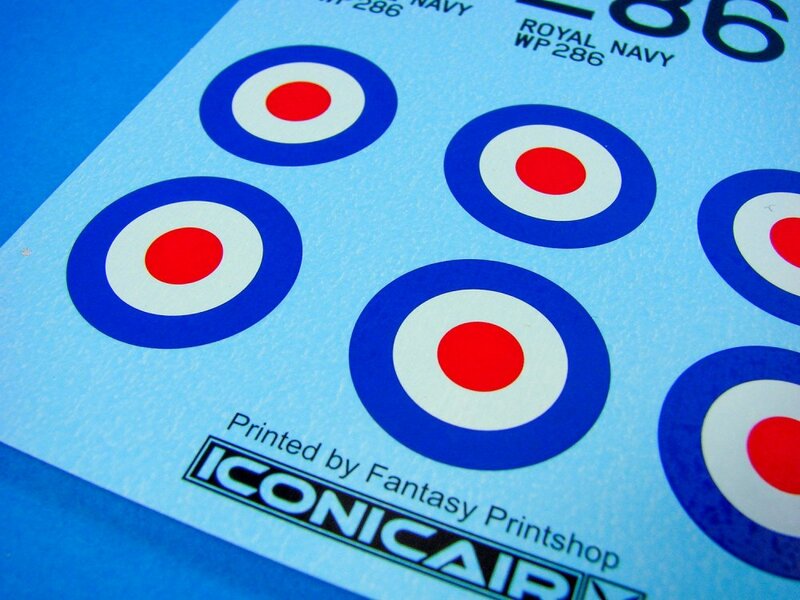 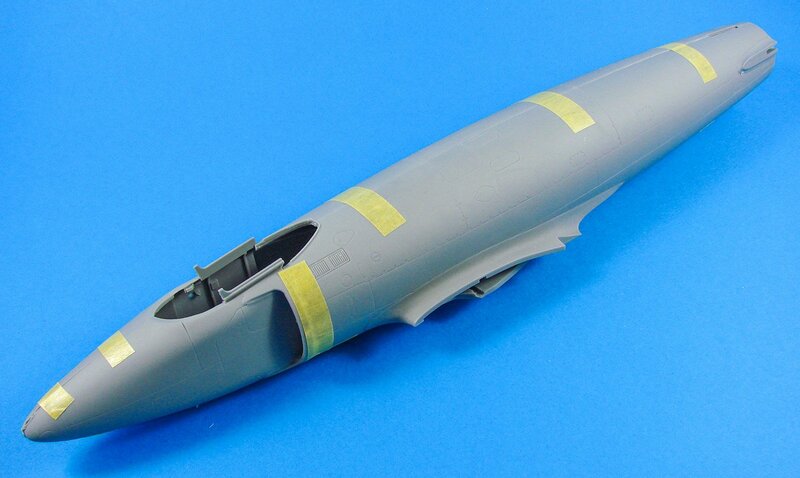 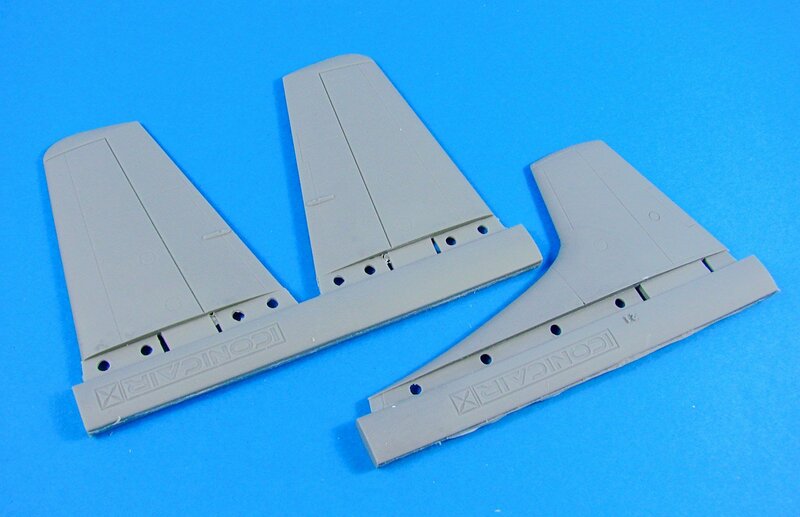 Iconicair’s 1:32 Supermarine Attacker was launched during the latter part of 2018, and we are grateful to them to be able to show this kit here on LSM. The kit itself is packaged into a fairly large and robust box with a nice painting of an Attacker about to be launched from HMS Eagle, and with the box edges showing the schemes available for your built model. 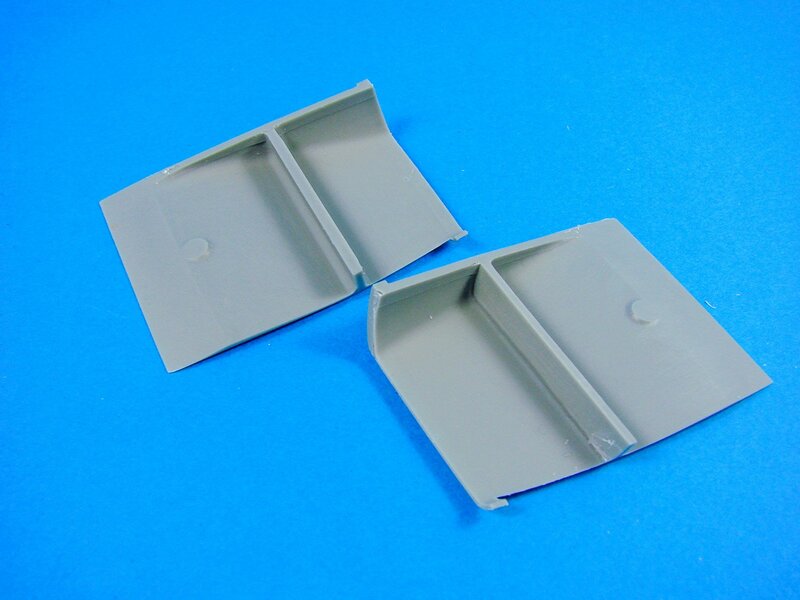 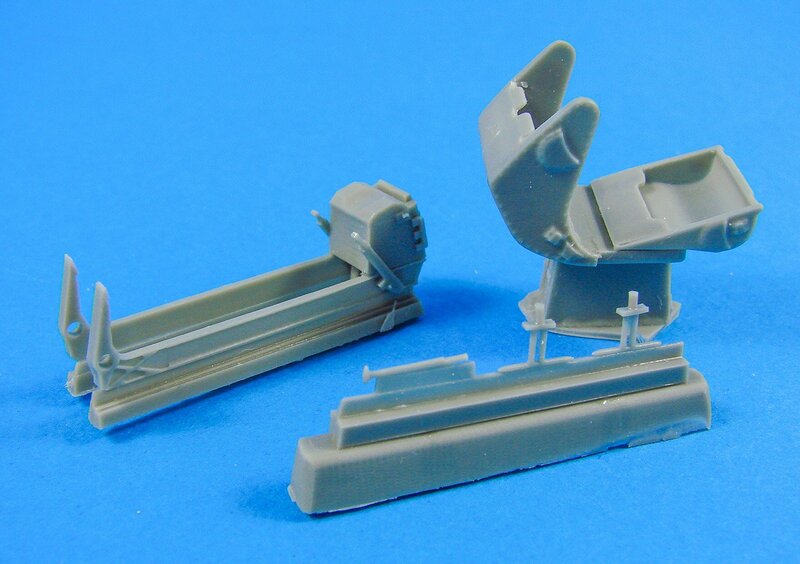 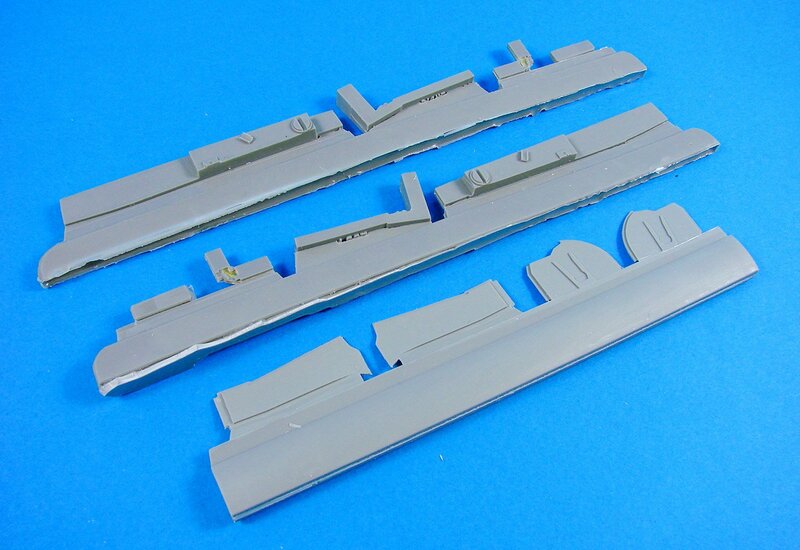 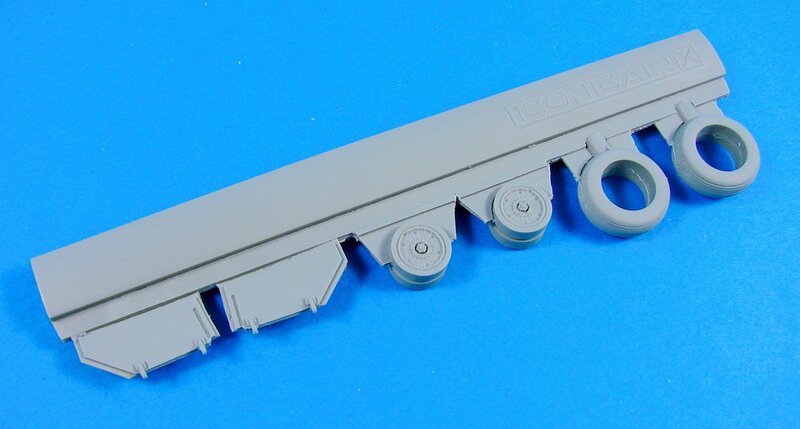 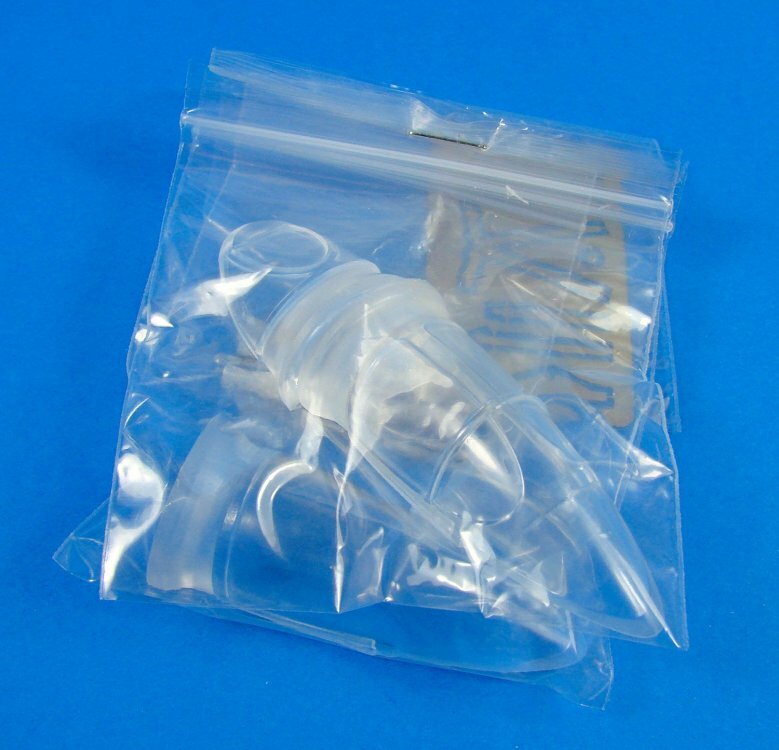 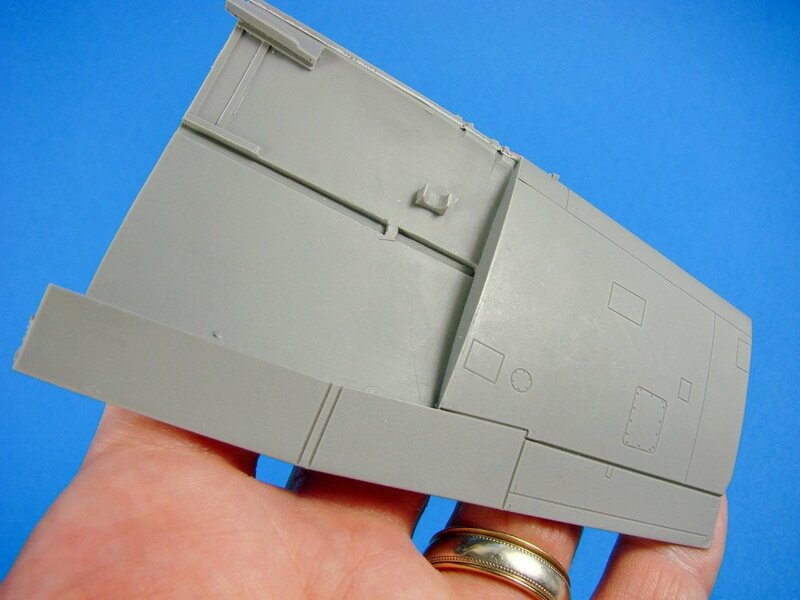 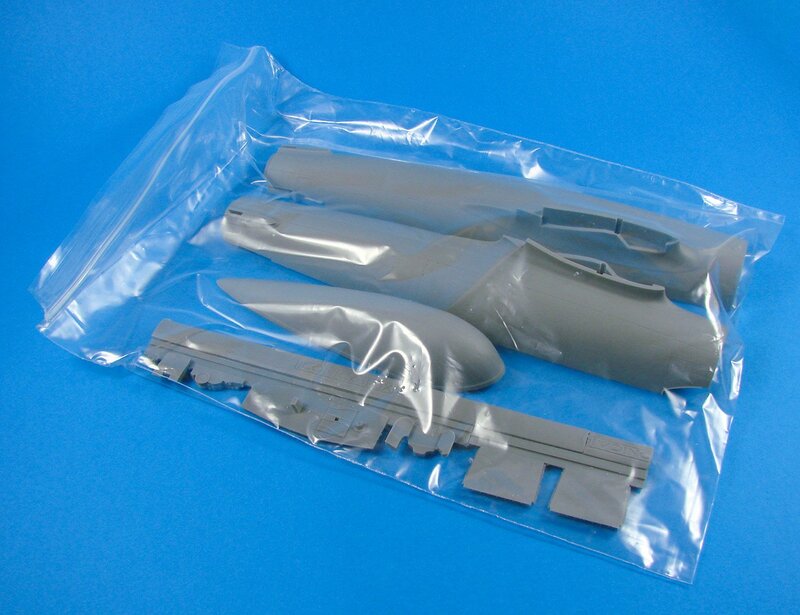 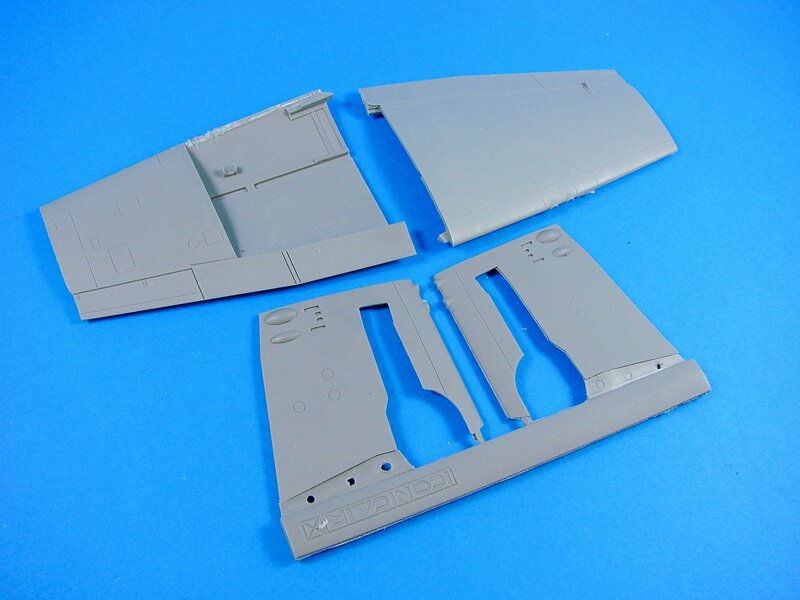 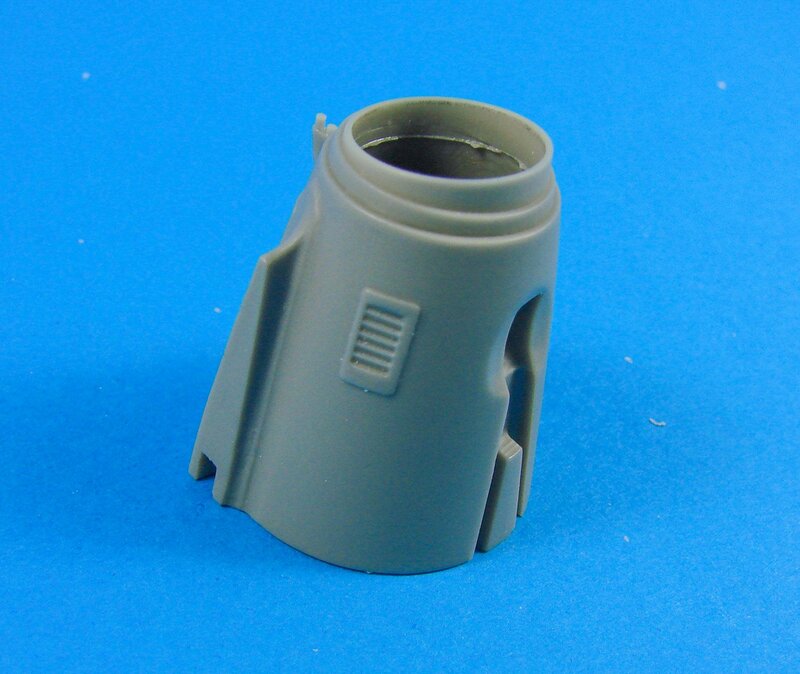 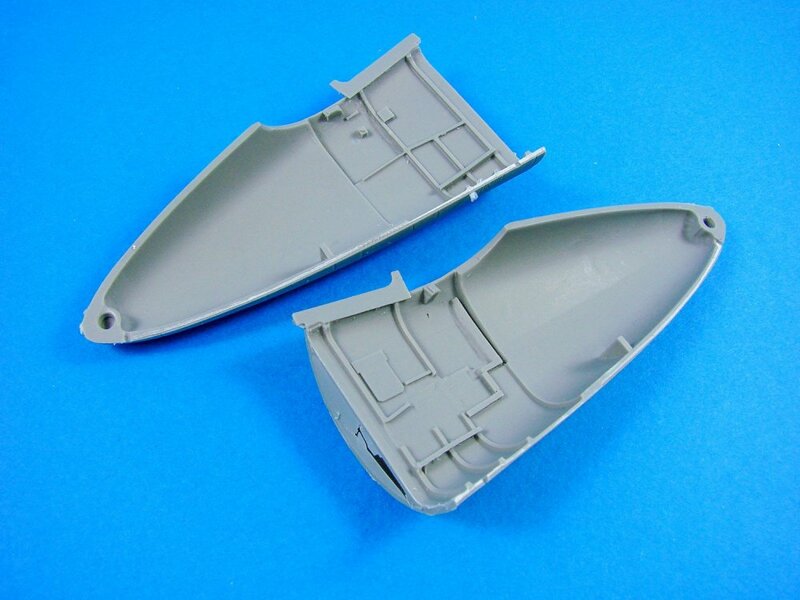 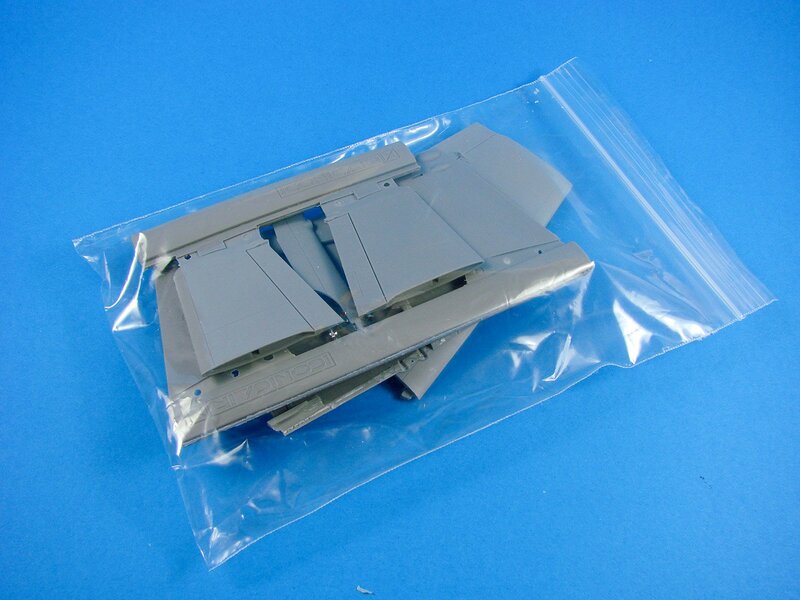 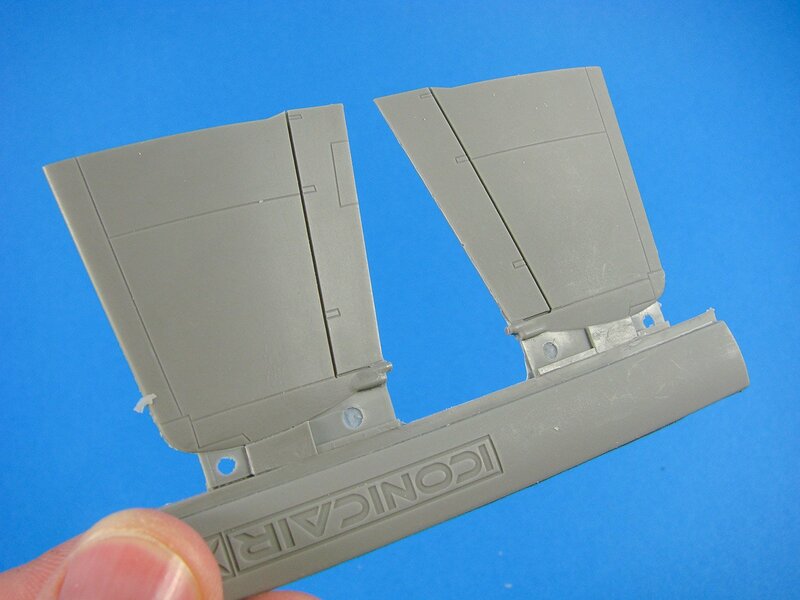 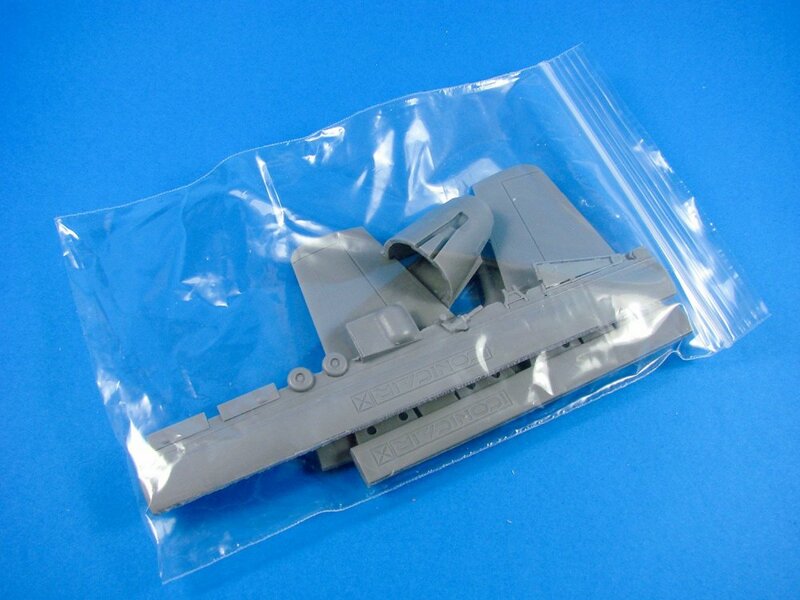 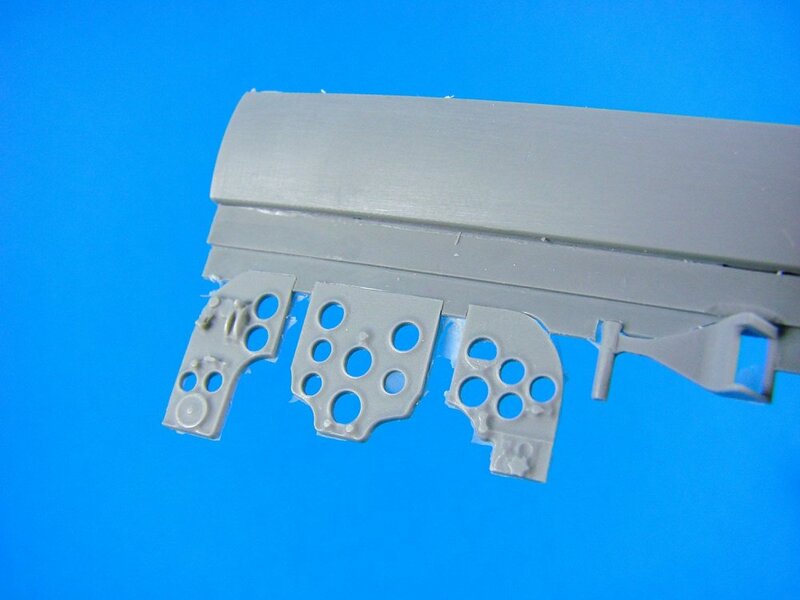 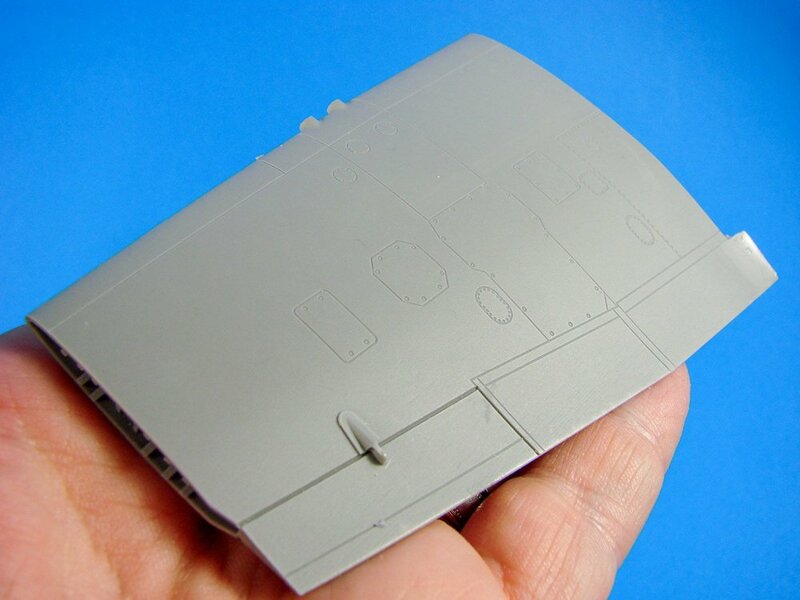 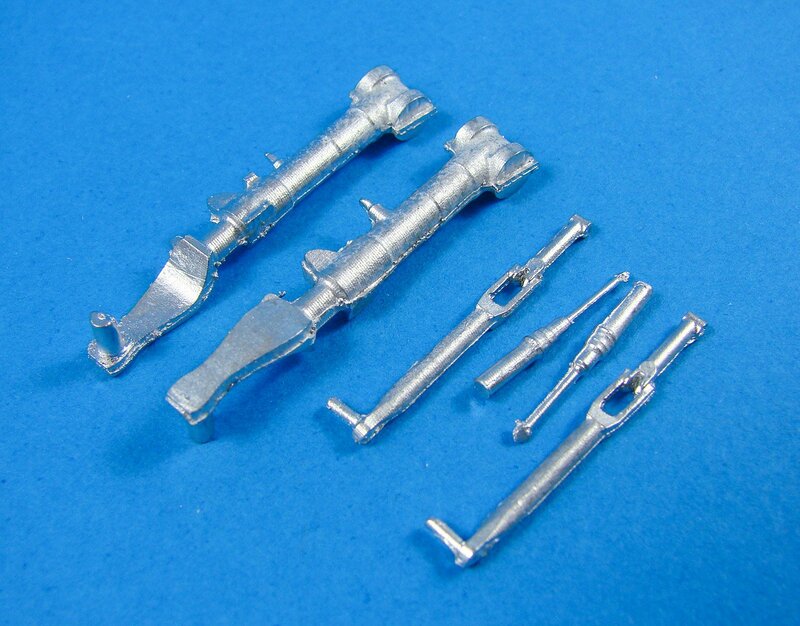 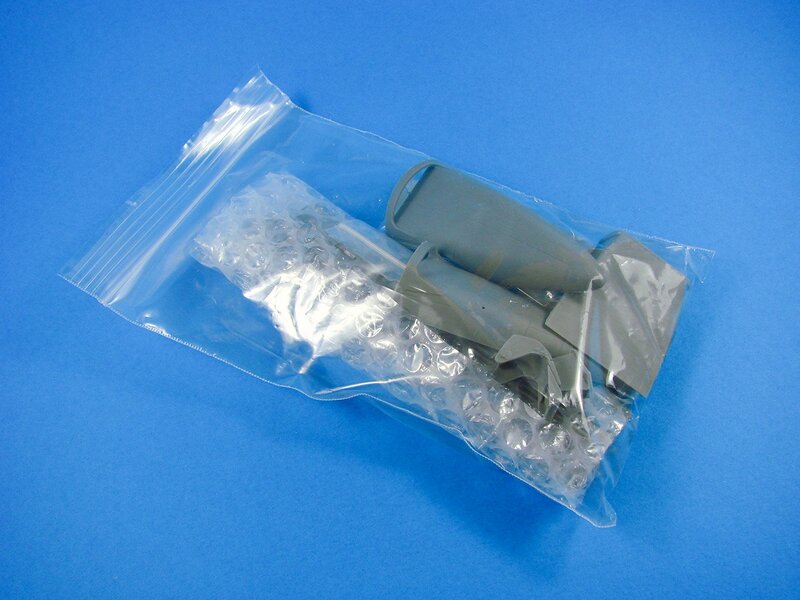 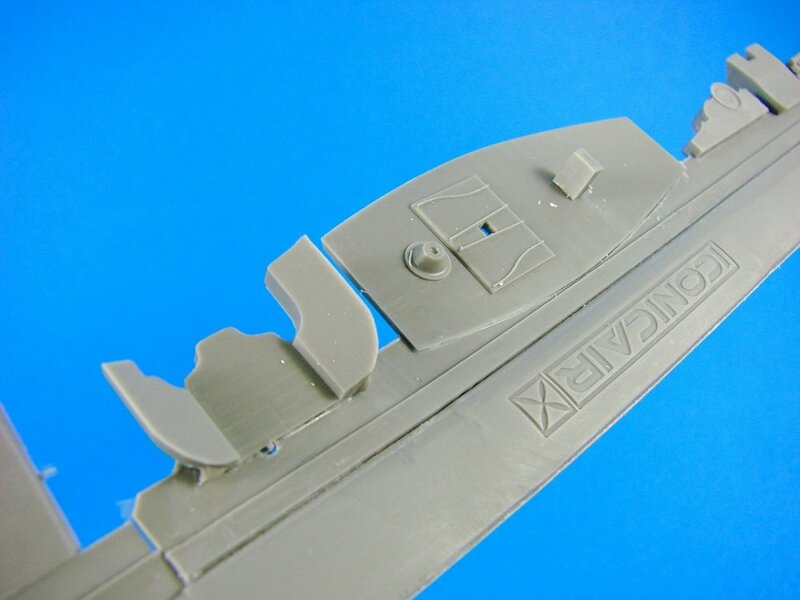 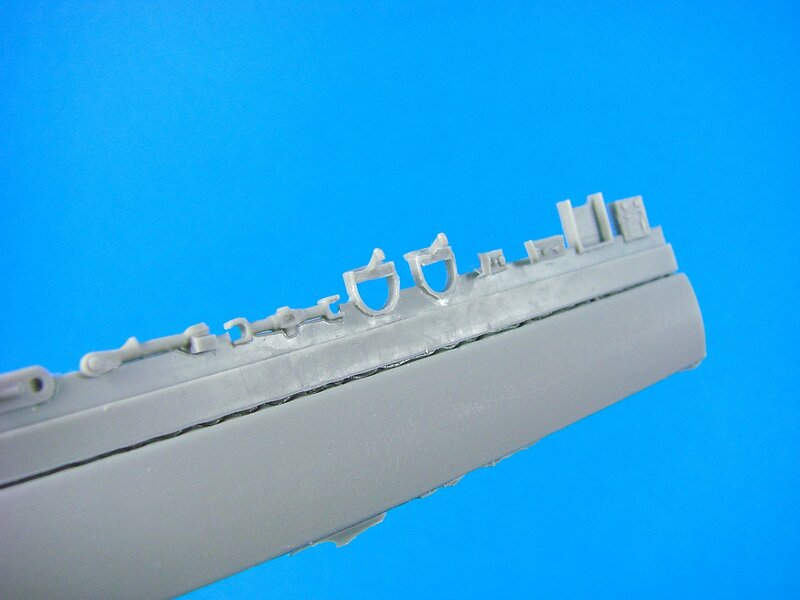 Of course, this is a resin kit with a number of metal parts, so bear in mind that extra effort will be needed to assemble, over and above a regular injection-moulded styrene kit. 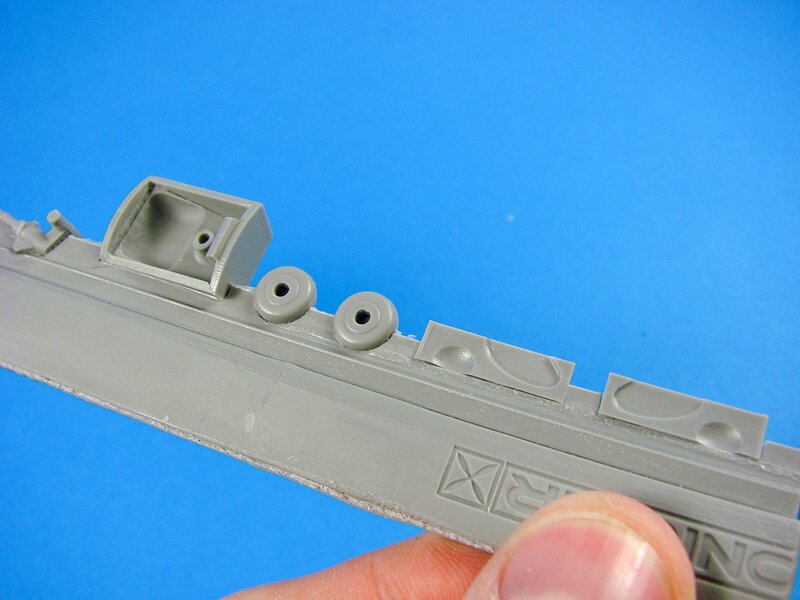 Ok, let’s take a closer look. 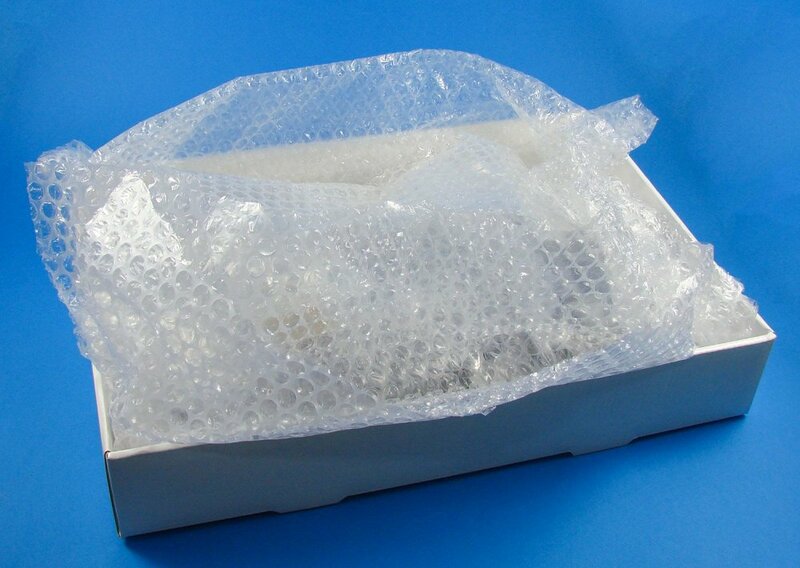 Lifting the lid reveals a swathe of bubble-wrap sheet layers which carefully protect the various zip-lock bags of resin, plus the PE and white metal parts. 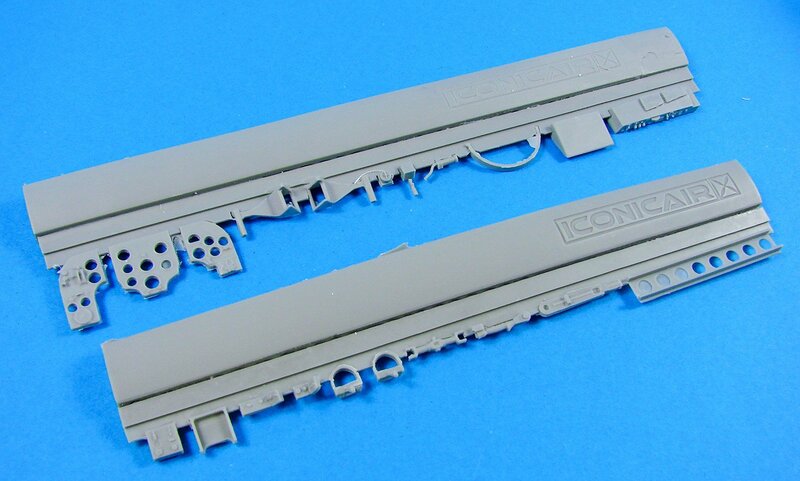 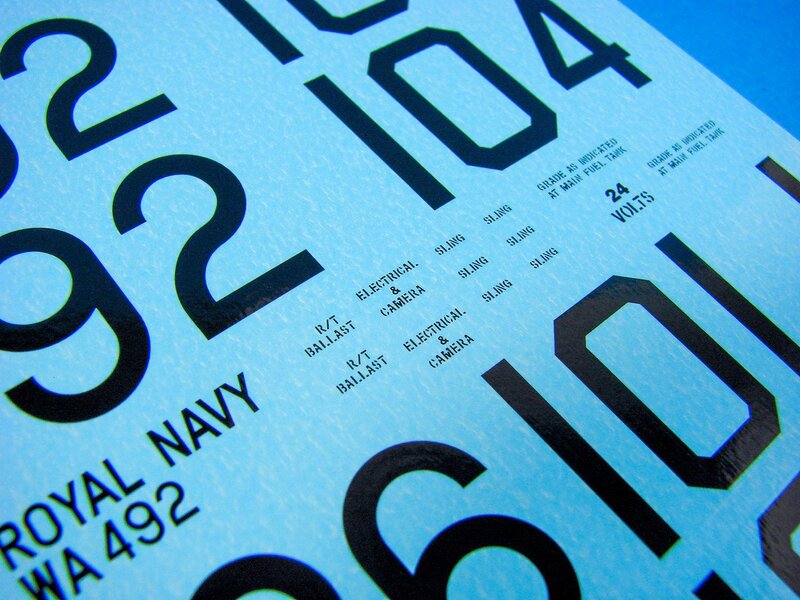 Removing all of this reveals a single decal sheet and a 14-page instruction manual. 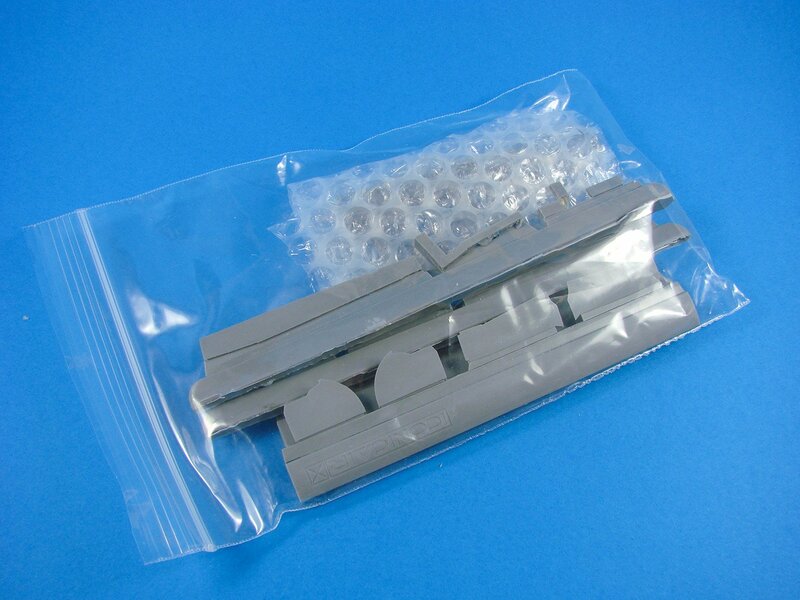 Some of these resin parts are quite chunky and heavy, and this is of course reflected in the overall weight of the package. 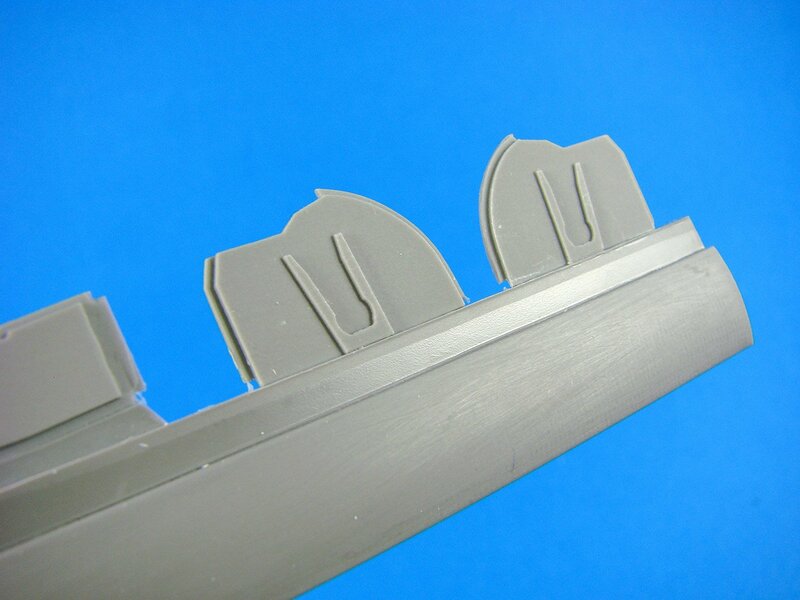 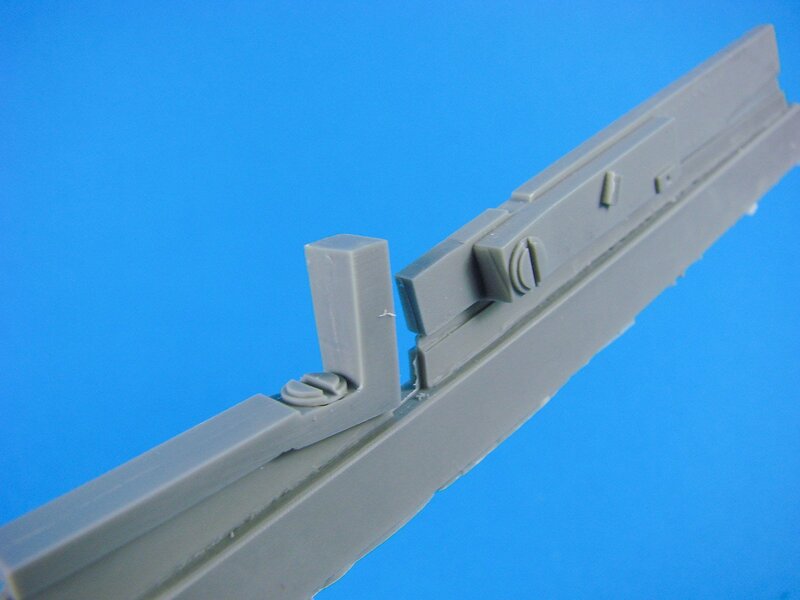 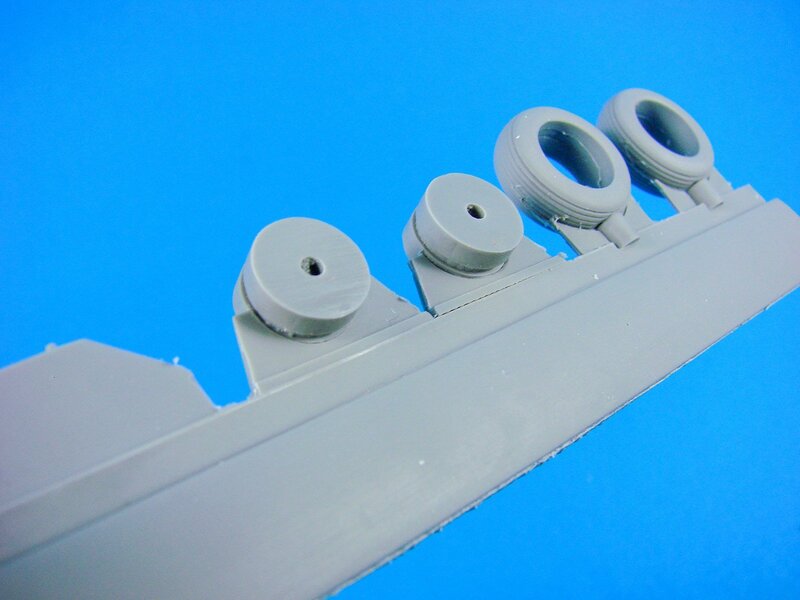 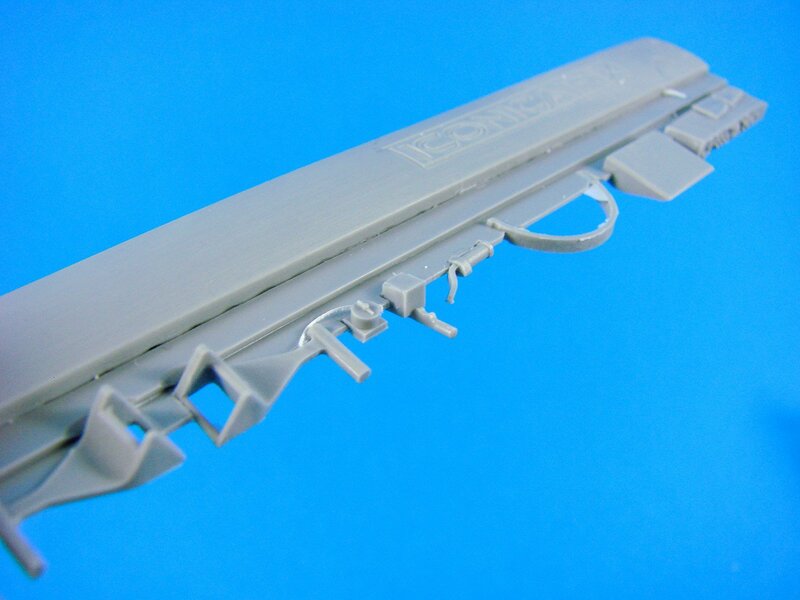 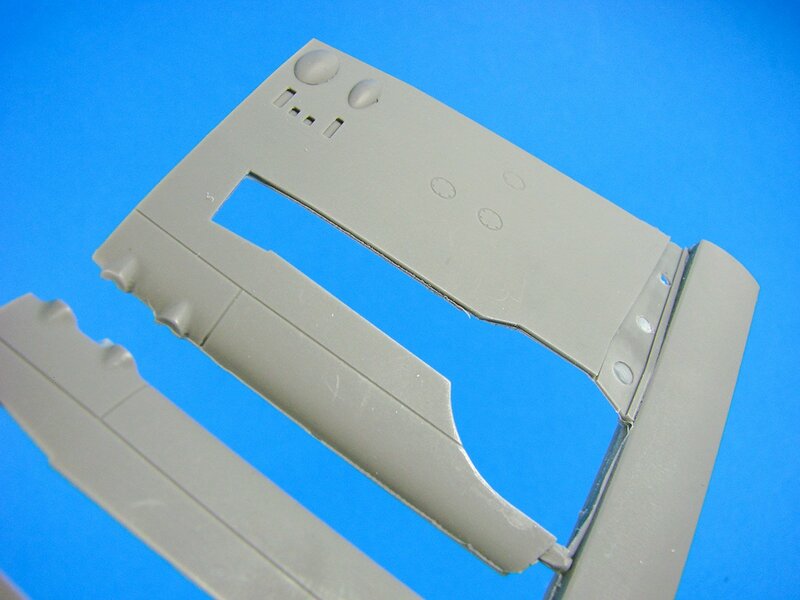 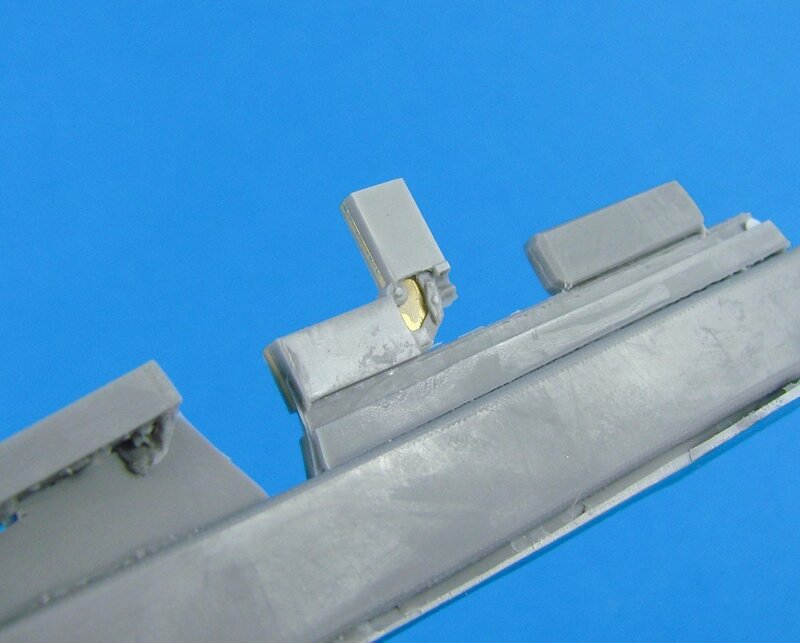 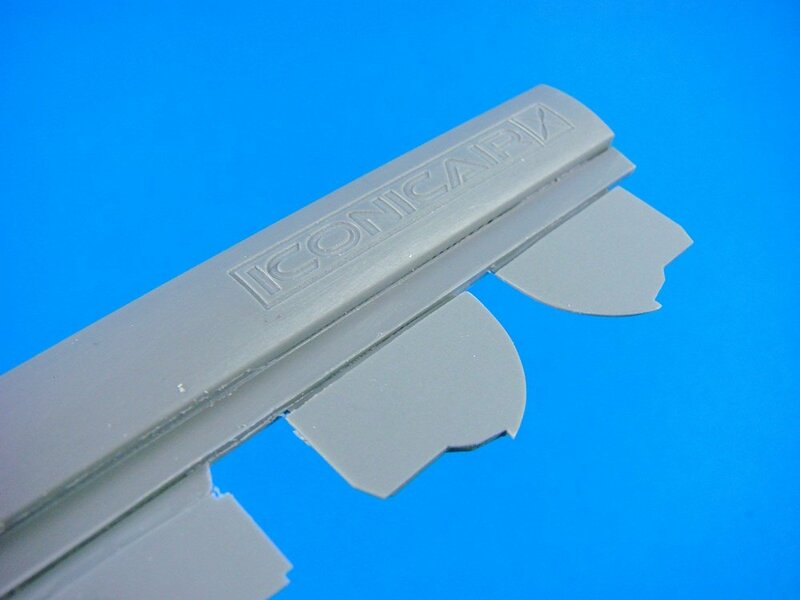 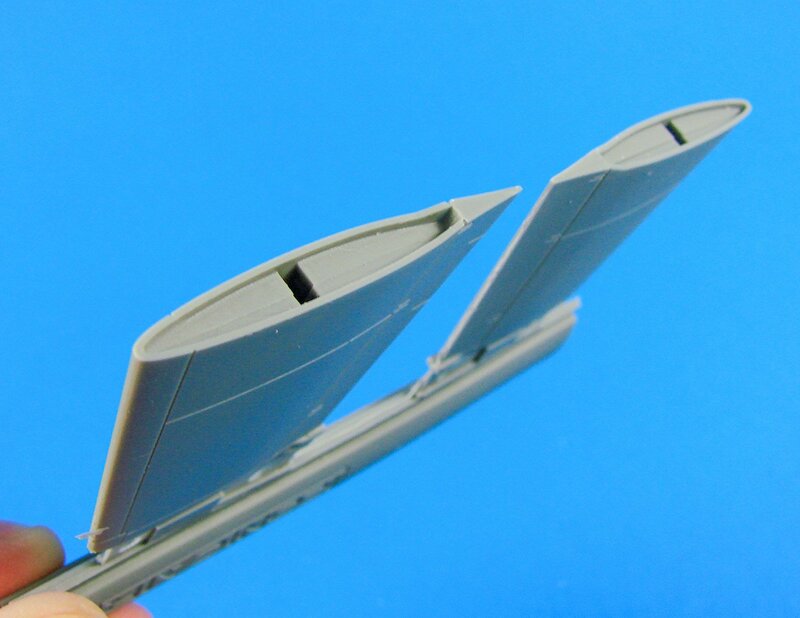 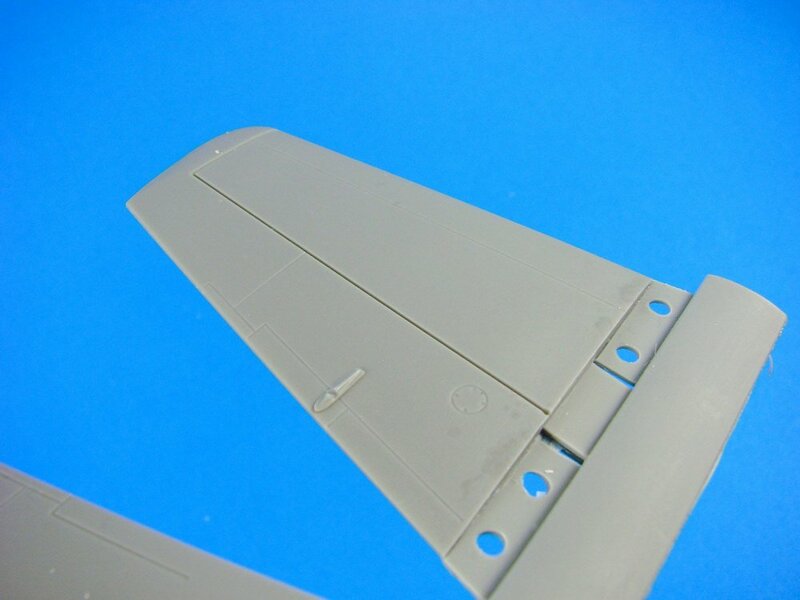 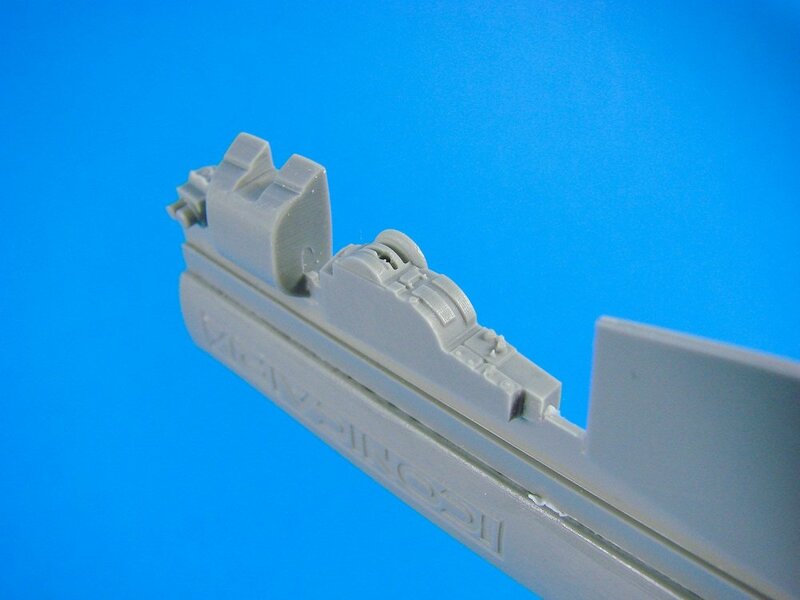 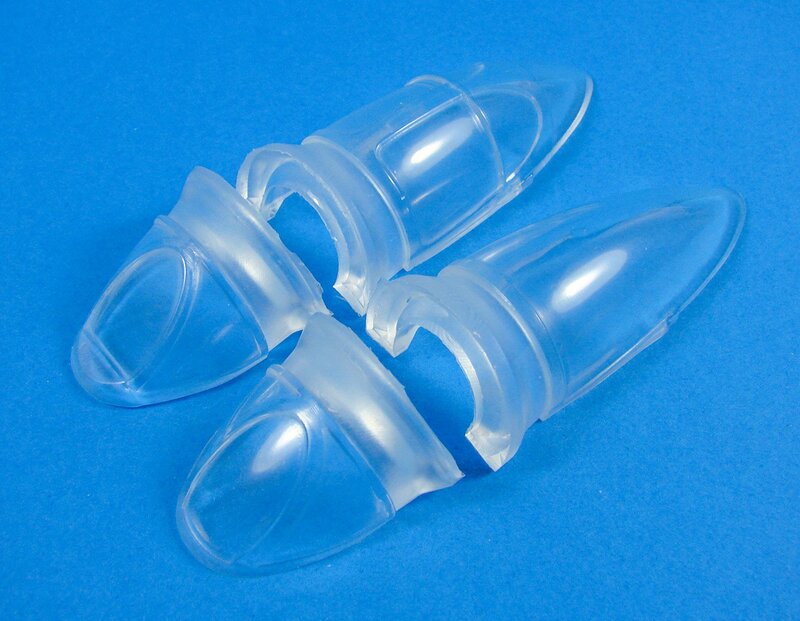 Lastly, a single PE fret is included that contains the pilot seatbelts and the instrument coaming. 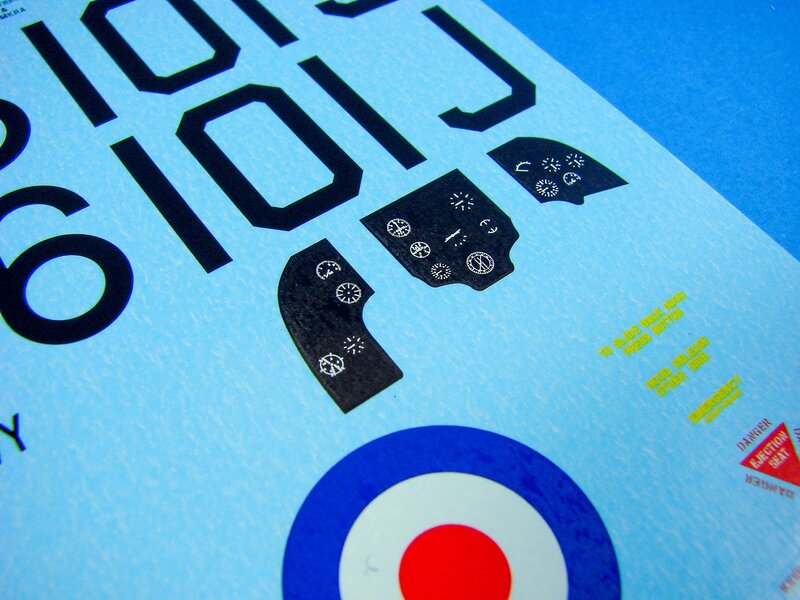 Production is very nice, if not perhaps a little thick. 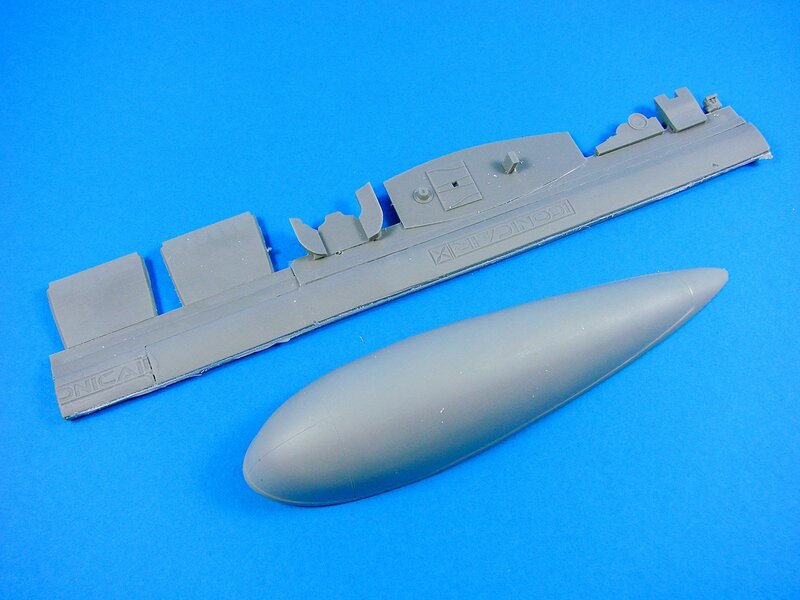 Some annealing will be needed to get it to drape realistically. 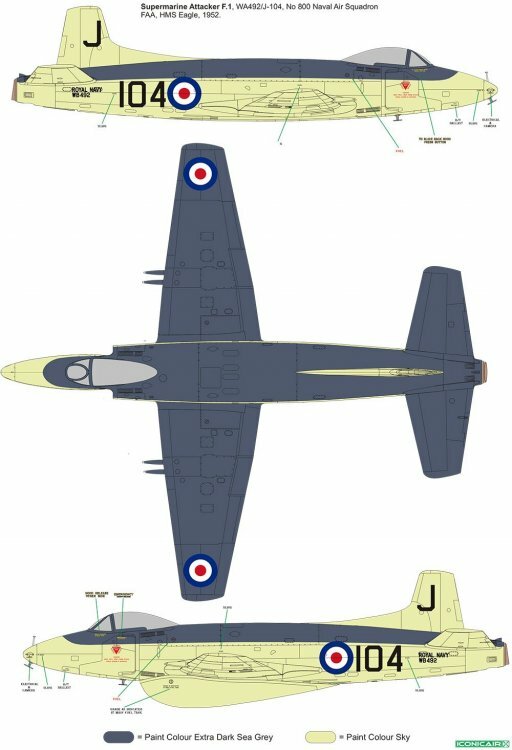 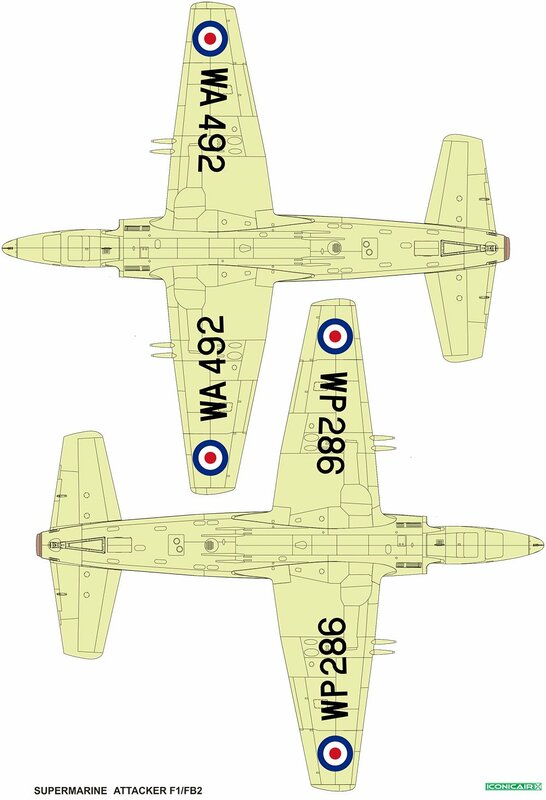 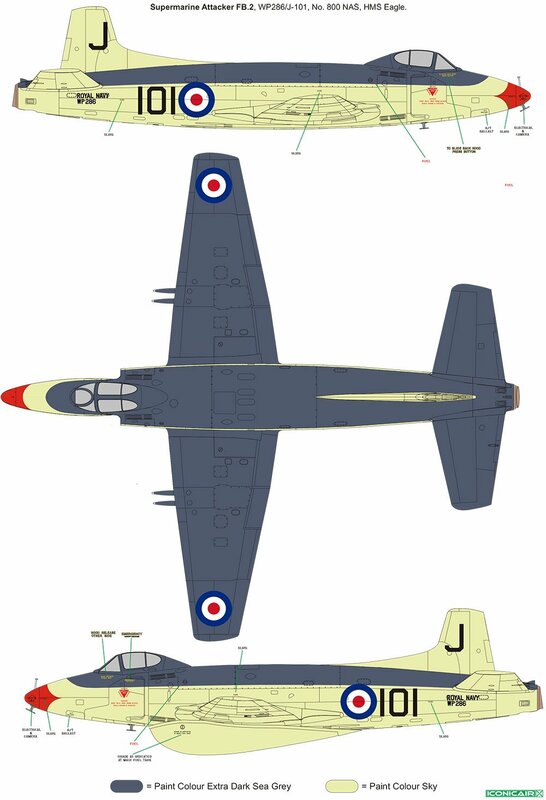 This is a very nice kit of an oft-forgotten type, which is perhaps more deserving of its place in aviation history, especially when you consider the Spiteful link, and the direct lineage to the Spitfire family. 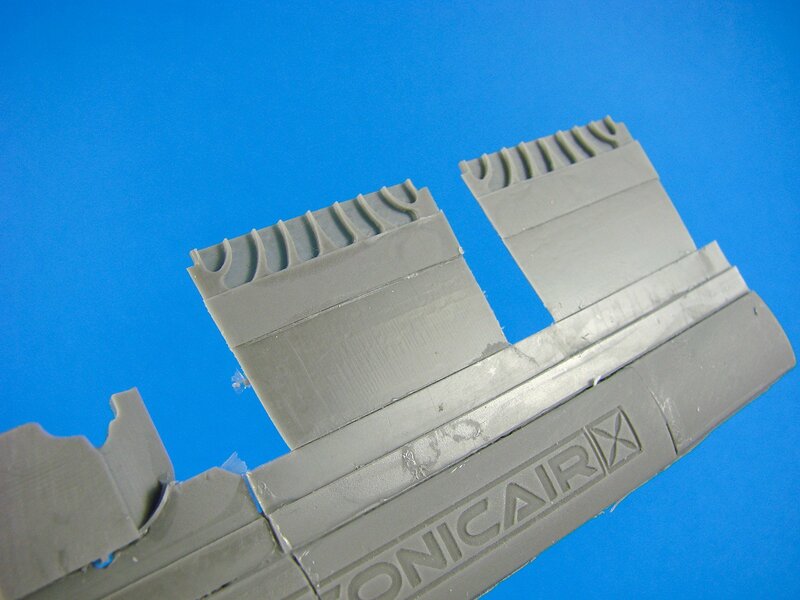 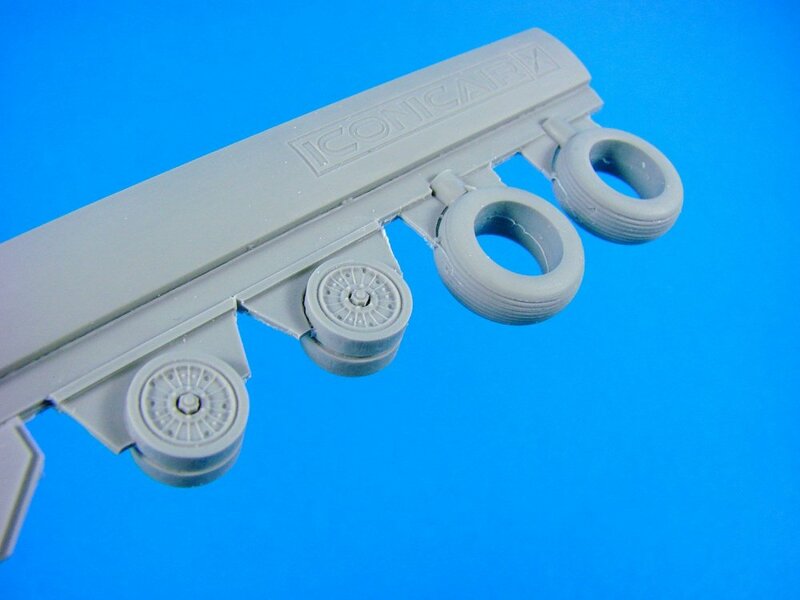 Iconicair has produced a model with a fairly simple breakdown and some thoughtful engineering, along with some nicely rendered surface detail. 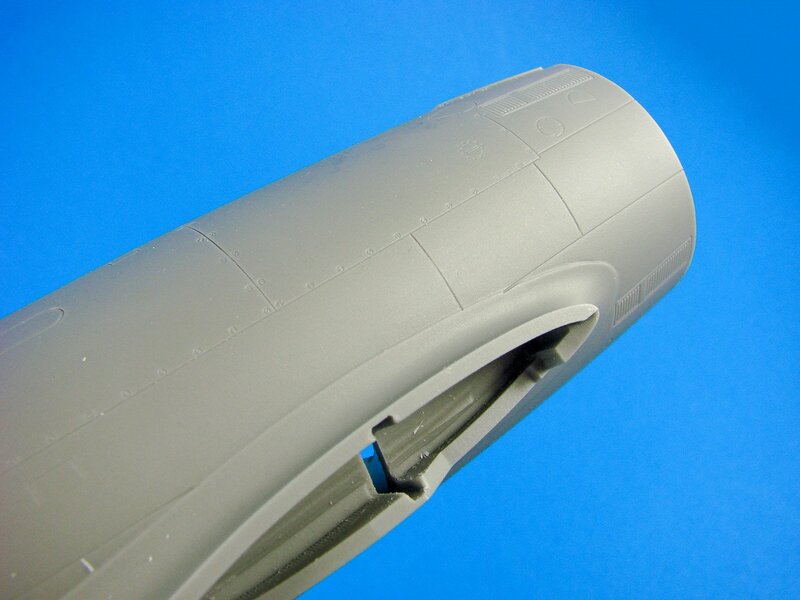 There are some areas which I think would benefit from extra detail, such as the gear bays, wing-fold area, and the void behind the pilot seat. 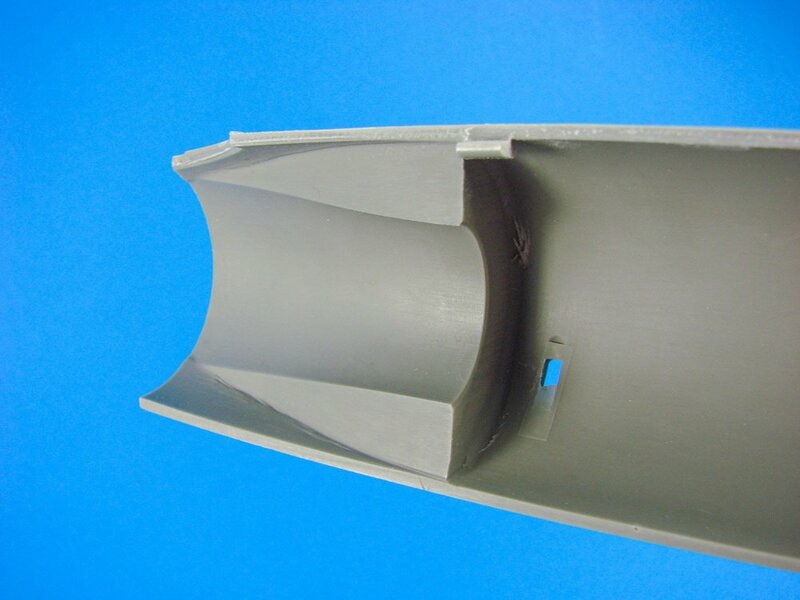 A lack of exhaust tunnel with a fan face is also something you’ll have to fathom yourself. 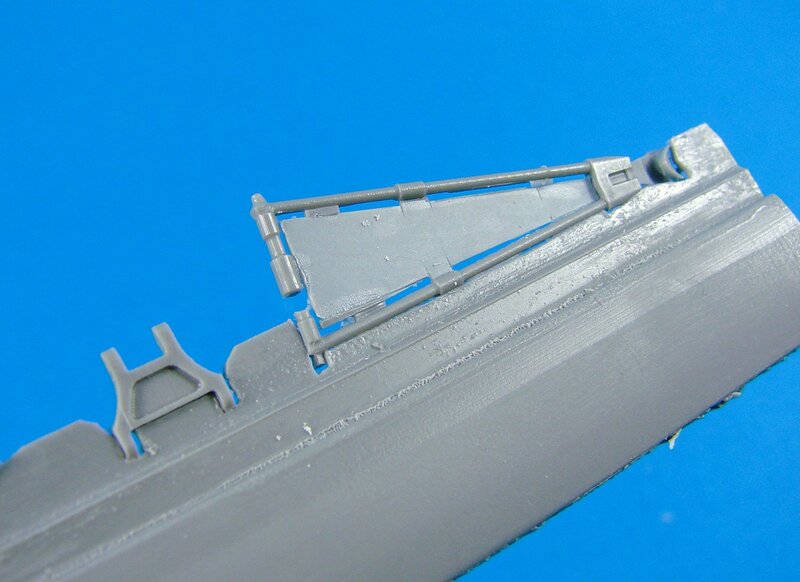 Perhaps, for me, something which does look a little strange in comparison to period and contemporary photos is the beautifully clear resin canopy. 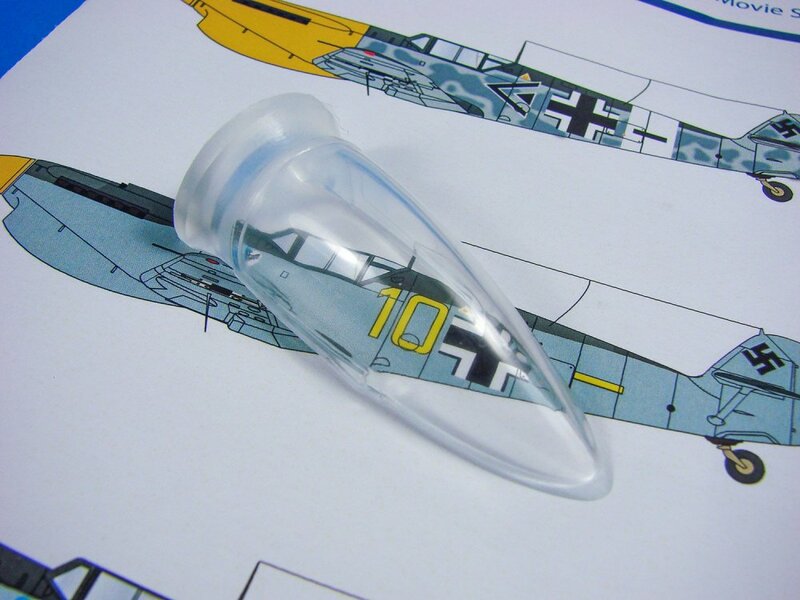 In this kit, it seems quite bulbous and tall. I could be wrong. 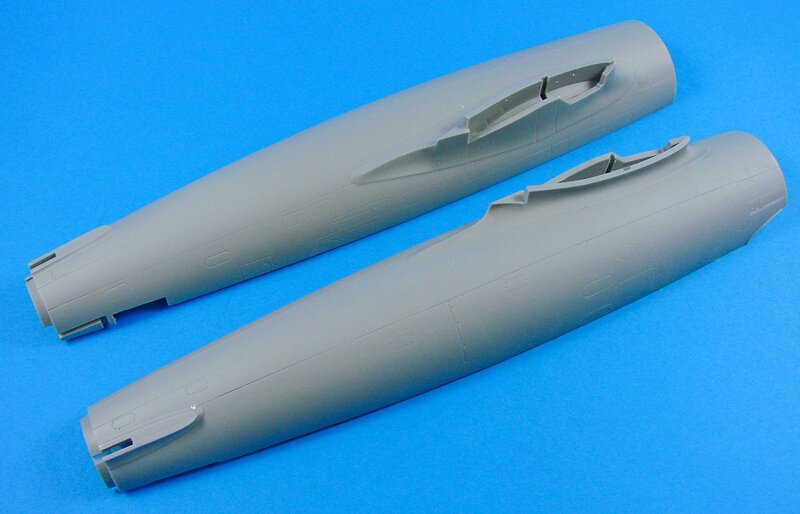 Whilst I do have some criticism of this kit, in all, it should look superb when complete and will certainly be the only incarnation of this currently available in 1:32. Watch out for this soon as I build it for Military Illustrated Modeller magazine. 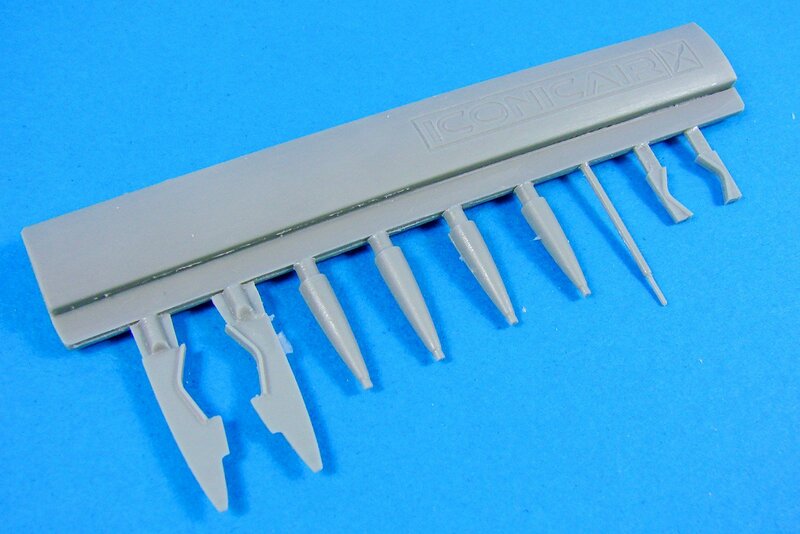 My sincere thanks to Iconicair for the sample reviewed here. 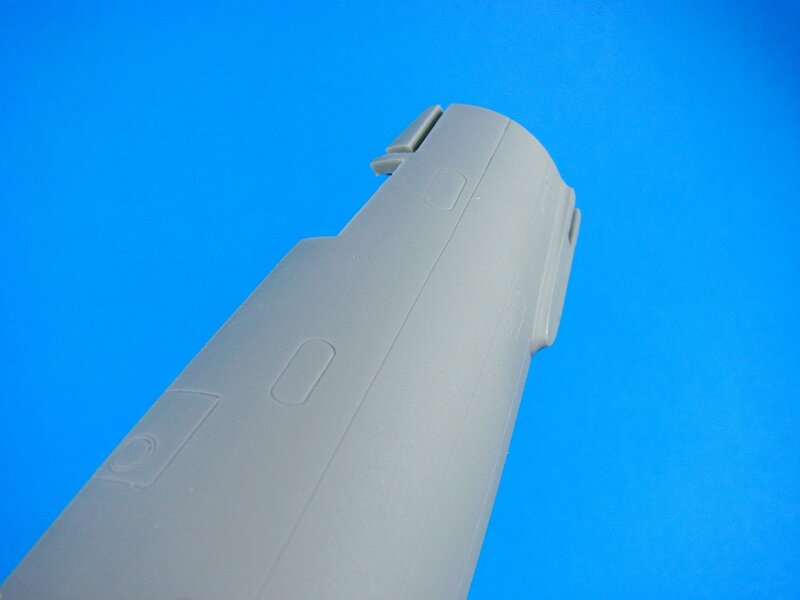 To purchase directly, click the link at the top of this article. 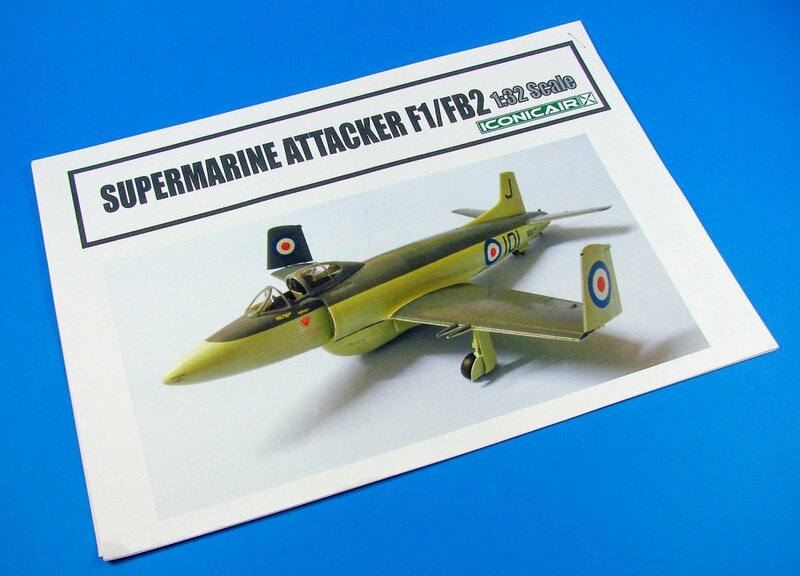 At least the Attacker did allow the FAA to look and sound like a modern force.